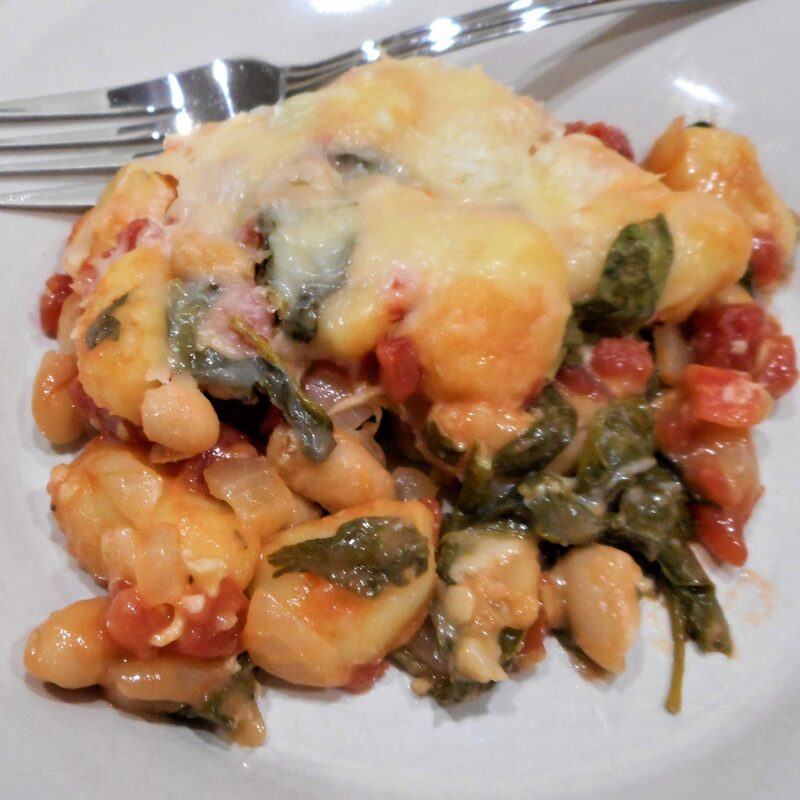 Here’s one of those no-fuss gnocchi recipes you can toss together and cook in one skillet. Ideal for a busy weeknight, it’s also good with crumbled Italian chicken sausage if you need to please meat lovers. 1. In a large skillet, heat oil over medium-high heat. Add onion; cook and stir until tender. Add garlic; cook 1 minute longer. Add gnocchi; cook and stir 5-6 minutes or until golden brown. Stir in beans, tomatoes, spinach and pepper; heat through. 2. Sprinkle with cheeses; cover and remove from heat. Let stand 3-4 minutes or until cheese is melted. Yield: 6 servings.